Killer Infographics is devoted to spreading knowledge through visual communication. With a diverse array of customers and a killer team, we work towards a common goal to delight, inspire, and connect with any audience in the most visually stimulating and engaging ways possible. We do this through an end-to-end service that includes ideation and promotion in tandem with the creation of static infographics, motion graphics, interactive designs, and multimedia experiences that seek out new frontiers of visual narrative. We are creative risk-takers who will always push ourselves beyond expectations, develop the best possible products for our clients, and believe that service, accountability, and respect are integral to our success. 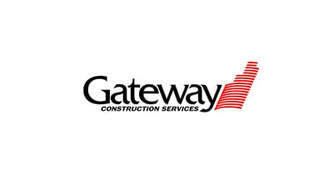 Gateway’s project team members deliver expert TI analysis, quality construction craftsmanship, detailed logistics planning, and a commitment to client service. We have been successfully delivering TI construction services in the Northwest since 2001 by offering complete TI preconstruction, construction, LEED construction, and building maintenance and tenant services. We specialize in commercial and industrial projects, ranging from Class A office spaces, to historical renovations, to medical facilities, and more. Our success has been based upon our team’s tenant improvement construction process knowledge, leadership in the field, reputation with subcontractors, and unwavering commitment to superior client service. We are proud to be the region’s TI service leader, and our professionals are involved in many TI industry organizations such as NAIOP, BOMA - Seattle, USGBC, ULI, and AIA.